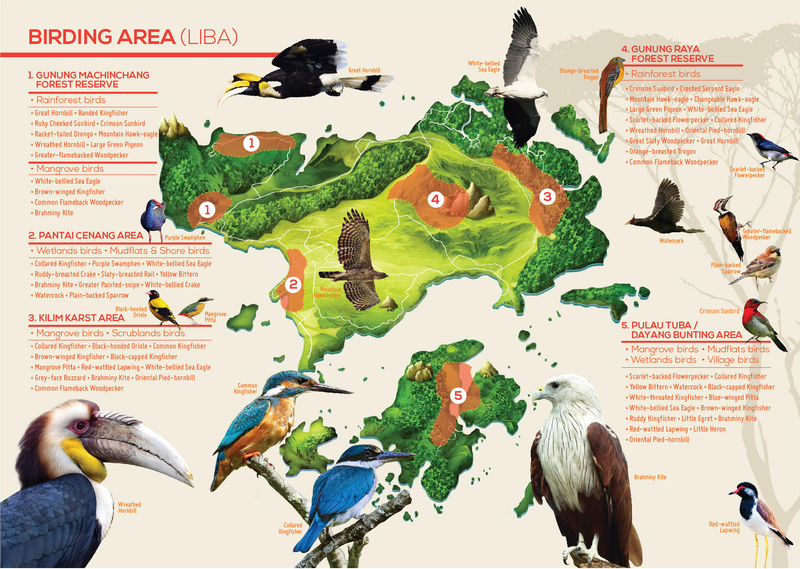 Langkawi boasts a wide variety of wonderful scenery and habitats, including wild open fields and hills, unspoilt beaches, forests as well as woodlands, all of which offer amazing birding. The island is home to approximately 200 species of birds including migrants, and the most suitable time to observe them is either early in the morning or early evening when they are most active. Tropical rainforests are home to many kinds of birds, including parrots, hornbills, toucans and raptors like eagles, hawks and vultures. Some migratory birds live in rainforests during the winter and return to cooler regions during the spring and summer. Mangrove forests colonise coastlines and river estuaries. Located between land and sea or river, they are an important barrier against erosion and slat intrusion. The vegetation is specially adapted to living in harsh conditions. Trees are characterized by adapatations including pneumatophores or breathing roots and thick waxy leaves to prevent moisture loss. The paddy fields in Langkawi provide a nice habitat for these birds. There are plenty of water, insects and aquatic creatures for food. Most of the birds are migratory in nature.